The EmbedReviews platform allows you to display button or a popover on your website and invite web visitors to leave a testimonial. Look at your left hand side and you will see the pop-over in action. EmbedReviews gives you the flexibility to choose different layouts and design of the button and customize it to fit your website design. 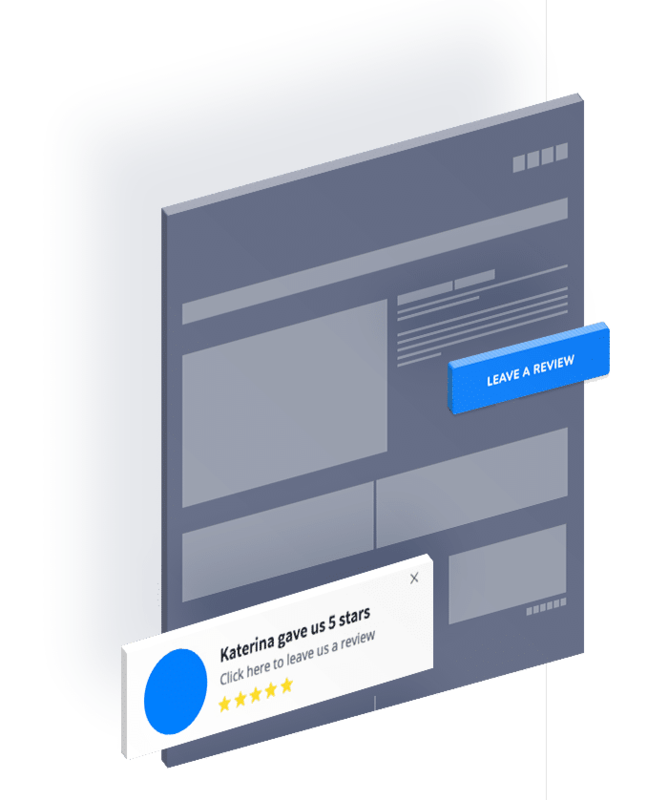 This button navigates your web visitors to a reviews collection form that gathers the reviews from your web visitors back to your EmbedReviews account. Click on the button and see how it works.